The current exhibition in World Land Trust’s art gallery is the result of an exciting new partnership with Lavenham’s Wildlife Art Gallery which will share the running of the gallery in Bridge Street, Halesworth from July 2014. WLT opened its gallery in 2011 to have more visibility in Halesworth and to raise funds to support its conservation projects. “We are delighted to be able to benefit from the Wildlife Art Gallery’s 25 years’ experience in showing world-class wildlife and landscape art. This collaboration will introduce a wide range of new artists to the Halesworth art scene,” said John Burton, WLT Chief Executive. 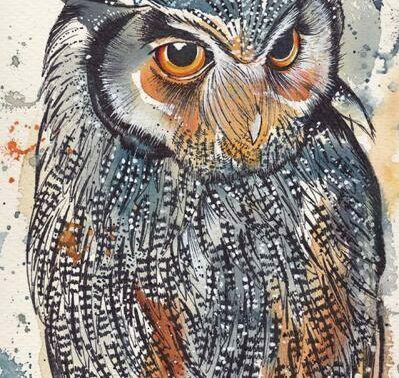 Artist and illustrator, Andrew Haslen and his daughter Amie, also an artist, are driving forces behind Lavenham’s Wildlife Art Gallery. They are both looking forward to a developing collaboration with WLT. 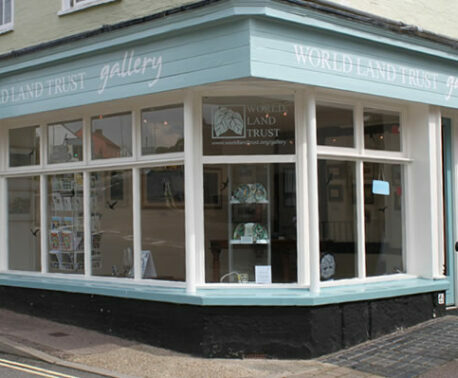 The gallery has been renamed World Land Trust Art Gallery and is now open on Saturday as well as on weekdays. Ever since WLT first opened a gallery Andrew has been a frequent exhibitor, and he regularly donates the use of his artwork for WLT Christmas cards. A member of the Society of Wildlife Artists since 1988, he paints using watercolour, oils and produces linocuts, screenprints and sculpture. He has twice won the Royal Society for Nature Conservation’s Natural World Art Award (in 1992 and 1997) and twice won the RSPB Art Award (in 1996 and 1999). He has lived and worked all his life in the North Essex / South Suffolk area, and the majority of his work features animal subjects. 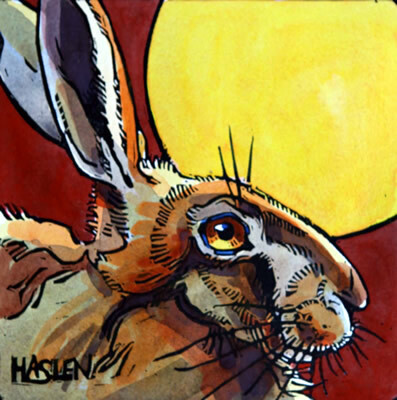 He has a particular passion for hares, a creature he finds continually fascinating to draw and paint. His work has recently been published in the stunning book, The Winter Hare, published by Langford Press. The first exhibition of the partnership features work by Andrew and his daughter Amie, alongside works by Robert Gilmor, Robert Greenhalf, Stephen Henderson, Jeremy James, Max Tannahill, Matt Underwood and others.